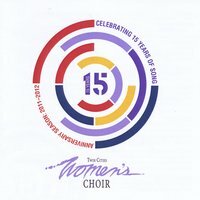 Choral selections from our 2011 Illuminations, 2012 Surround Sound, and 2012 Divas & Desserts concerts. The choir was founded in August 1997 by Mary A. Bussman and a group of 16 dedicated singers. We have grown into a 501(c)(3) non-profit organization with an active board, committed financial supporters, and more than 150 energetic singers. We perform music from all cultures and traditions and seek pieces that provide musical challenges and meaningful text. Our repertoire includes jazz standards, classical songs, newly commissioned works, folk music from all cultures, and sacred music from all traditions. We have contracted with noted regional musicians such as folk singers Ann Reed and Brianna Lane, composer Joan Griffith, vocal ensemble Mila, jazz musician Bruce Henry, traditional Irish band The HiBs, brass ensemble The Brass Messengers, and bluegrass band Monroe Crossing. We connect with a unique audience who values the voices of women as leaders, performers, thinkers, artists, and heroes. Our season runs from September through May and includes three major concerts plus many community outreach activities. We receive some operating funds through grants, but we rely primarily on contributions from the choir and our audiences for support. While we are committed to being self-supporting, no one is turned away. We fully honor and recognize all contributions, including money and time.